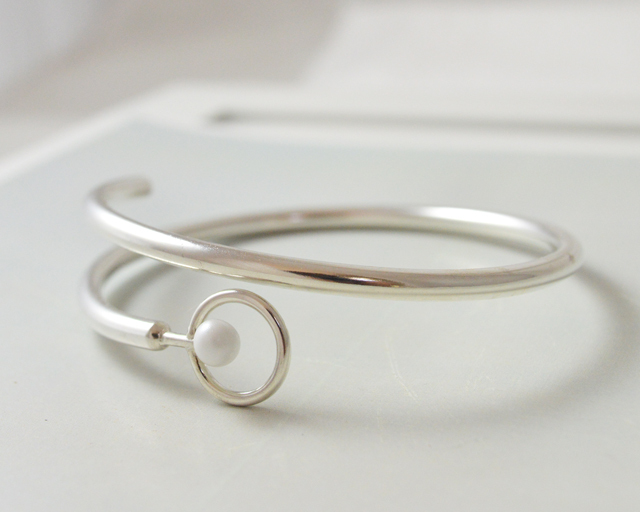 In January I set a goal to design and create my first ever collection of silver handmade jewellery. 100 days on I’m delighted to share with you the finished collection. Well, 100 days (and a considerable amount of hard work) later and I’m delighted to introduce you to the Circles Collection. 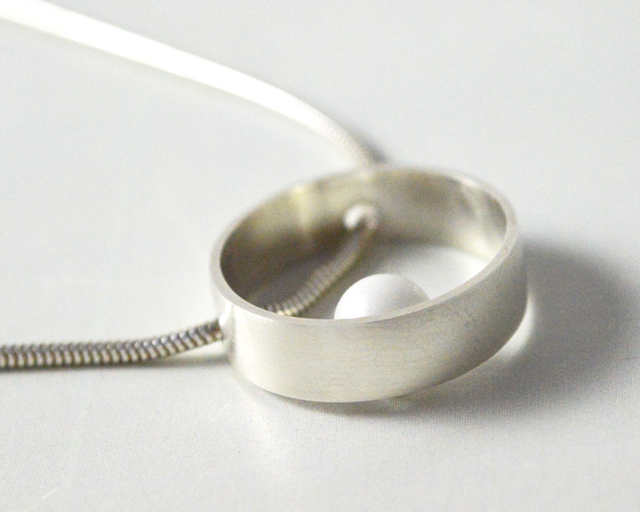 To ensure that each piece of jewellery formed a cohesive collection I decided to base my designs around circles, whilst at the same time aiming to give each piece a minimal slightly contemporary look. I also chose to limit the colours in the collection to white, orange & blue, resulting in a more cohesive range. 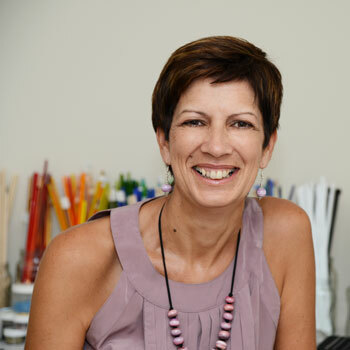 In doing this it also enables many of the pieces to be interchangeable, meaning that you can easily mix and match pieces within the collection to suit your own particular tastes. 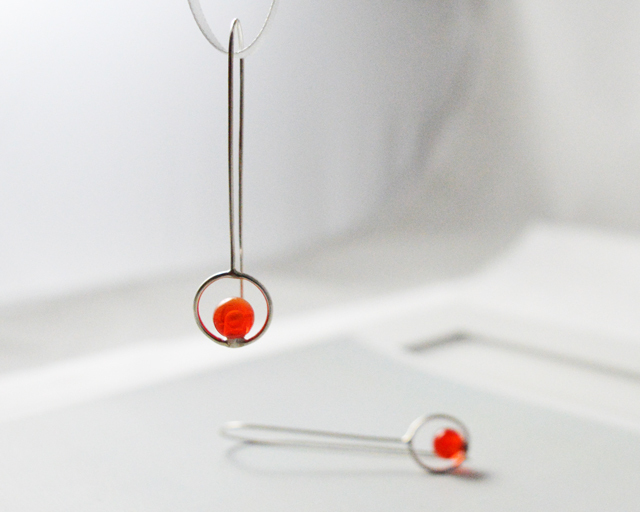 The first pieces in the collection feature my handmade pearly white glass beads. I’m loving how beautiful they are and how well they coordinate with just about anything you wear. 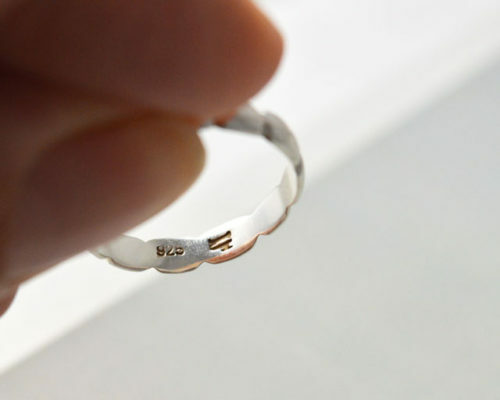 Gorgeous & so easy to wear. 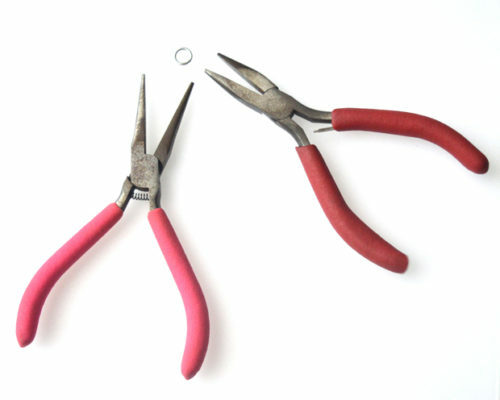 These pieces allow you to add a little splash of colour to your outfits. 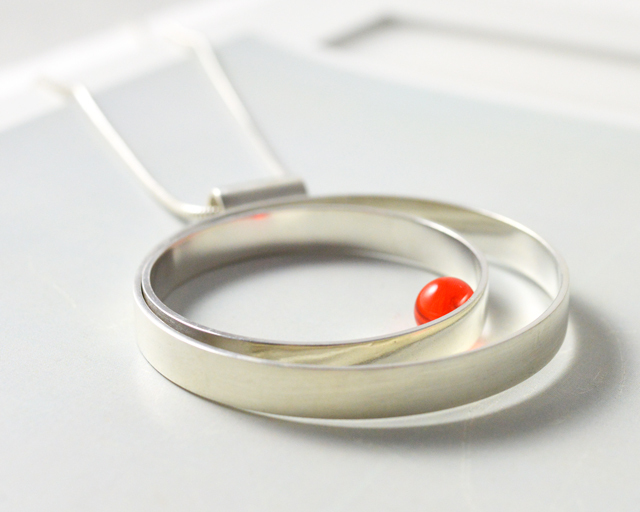 The statement silver pendant below was made to coordinate with a pair of orange earrings I had previously designed, although I have to say it looks equally gorgeous teamed with the domed silver earrings below too. 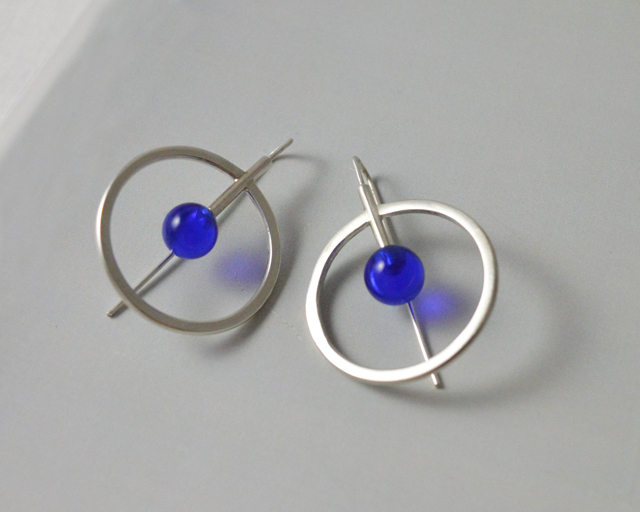 Much of the collection features my handmade glass beads, but I decided to include a few pieces that are simply gorgeous sterling silver. 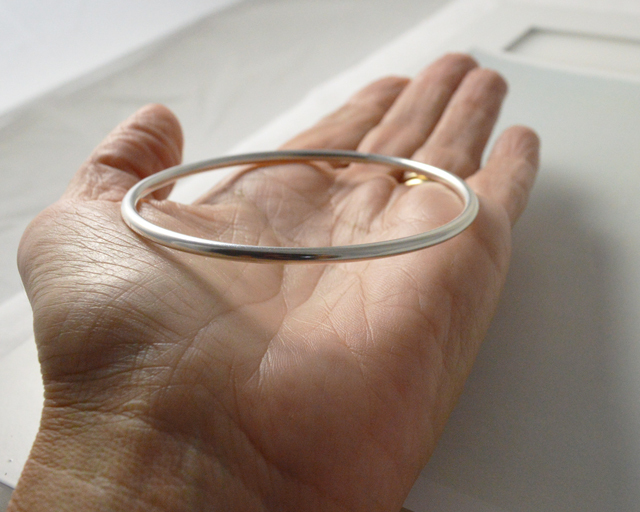 Solid sterling silver wrap bangle – for any occasion. 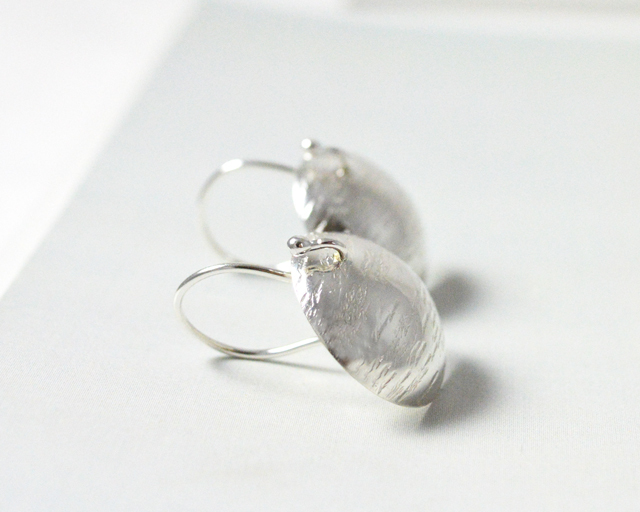 Gorgeous ‘go to’ silver earrings. 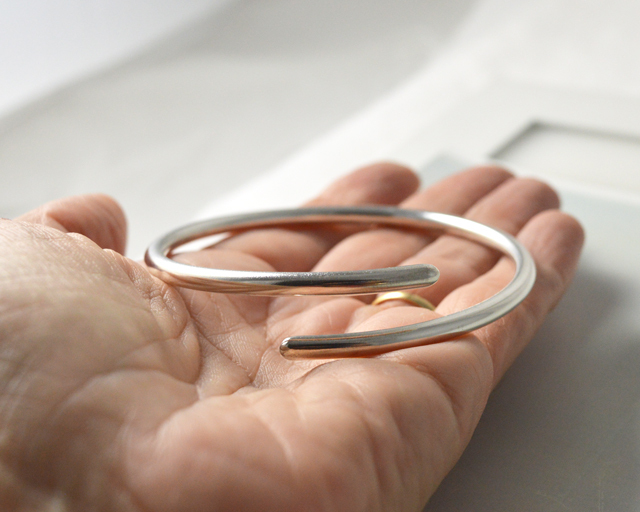 This simple solid sterling silver bangle is a staple piece in the collection – it’s so easy to wear and really helps to tie everything together. 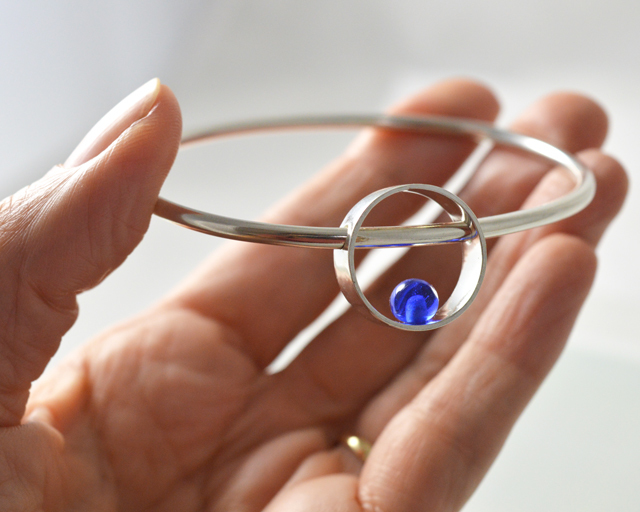 Lastly, but by no means least, this gorgeous blue bangle featuring another of my handmade glass beads works beautifully with the blue earrings below without being too ‘matchy’ if you know what I mean. 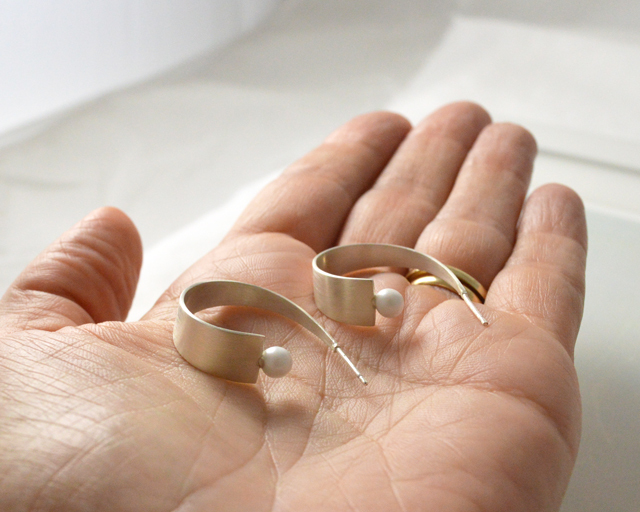 You can find each of these pieces of handmade jewellery in my online shop, which means if you would like to spoil someone or treat yourself, all you have to do is let me know and I will happily make one for you. 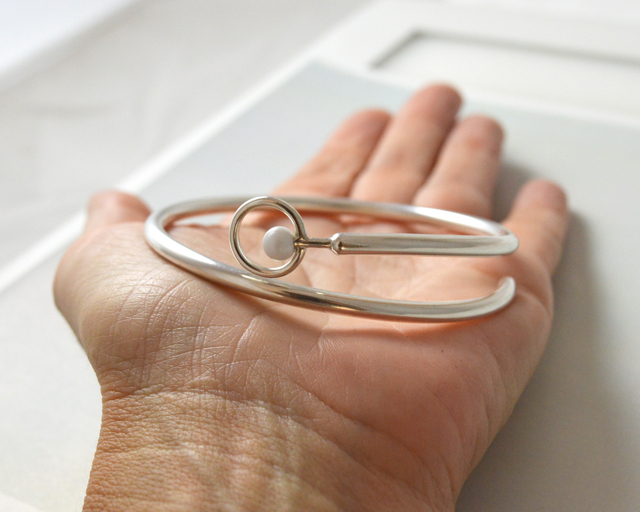 As each one is made to order, if you like the design but are looking for something a bit different (no glass bead or another colour maybe), all you have to do is ask. In the meantime I would love to know what you think of this collection. Needless to say I have a few favourites – which is your favourite?